This week, the Trump administration released its 2018 federal budget proposal. According to Chalkbeat, this year’s proposal signals a dramatic shift for America’s K-12 education system. While the proposed budget boosts funding for the expansion of school voucher programs and charter and magnet schools, it also calls for an overall five percent cut in funding to the Department of Education. The bulk of those cuts comes from the federal Title II program, which focuses on class size reduction and teacher training. While political experts say the administration’s proposal is unlikely to be adopted by Congress, the proposed cuts come at a time when schools in nearly every state are struggling to hire and retain enough high-quality teachers. Shrinking budgets are one reason for the shortage. But pay alone has never been the top driver for entering teachers. Not surprisingly, new research suggests money alone won’t fix the problem. While the teacher shortage is acute in certain states, it’s a nationwide problem. A report released last summer by the Department of Education showed that every state in the country started the current school year with a teacher shortage, a problem districts have faced for years, Valerie Strauss writes in the Washington Post. But, as more teachers leave the profession early and fewer students enroll in teaching schools, the situation grows increasingly dire. Money isn’t everything. But it is something. A 2016 report by the Economic Policy Institute found that teacher wages were 17 percent lower than those of comparable workers in 2015. That gap has grown from nearly two percent in 1994. With this in mind, several states have focused on increasing salaries to help boost recruitment, according to the Pew Charitable Trusts. Within the last year, the governors of Virginia, Arizona, and Oklahoma all called for increases in teacher pay to boost retention, while Idaho actually put a new pay increase in place. Want more on recruiting and retaining quality teachers? Sign up for the TrustED newsletter. While better compensation can help, working conditions matter too. A report from the Learning Policy Institute found that administrative support, quality teacher training, and instructional independence were all as important as salary level to teacher satisfaction. A survey by the National Comprehensive Center for Teacher Quality and Public Agenda found that when given the choice between highly supportive administrators or a higher salary, 80 percent of responding teachers would choose support over pay. For school leaders, providing quality faculty support isn’t just about training and resources, it’s also about giving teachers a stronger voice in school decisions. In South Carolina, nearly 5,000 of the 6,700 teachers who left their positions after the 2016-2017 school year transitioned to careers outside of the teaching profession, according to The Post and Courier. A poll of current teachers conducted by the South Carolina Education Department found that demand around assessment and accountability was a major cause of teacher frustration. Cantrill is just one of many young teachers who felt his voice was not being heard by school administrators. As teacher shortages worsen across the country, school district leaders need to take a hard look at what’s being done to better engage and empower faculty. 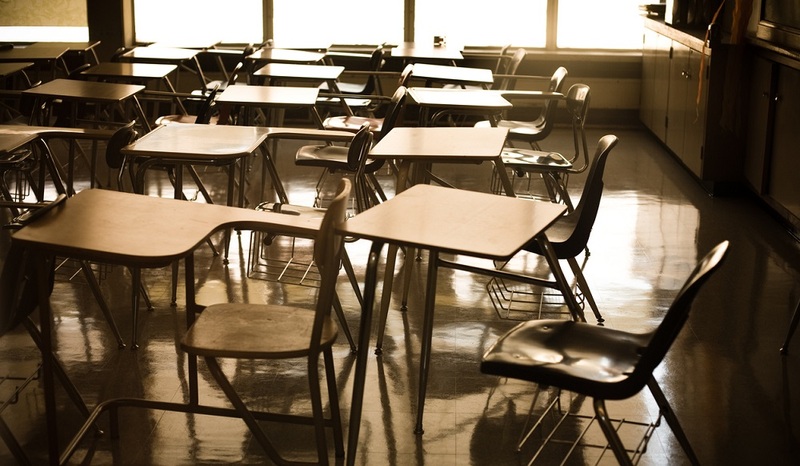 Have teacher shortages been a challenge for your school or district? What strategies do you have in place to recruit and retain quality teachers? Tell us in the comments.